Banana fibers are an agricultural waste material with a great exploitation potential due to their cellulose-rich content. Raw banana fibers (RBF) were treated with 3-aminopropyltriethoxy silane and glycidoxypropyltrimethoxy silane to improve the inherent limitations of banana fibers, namely its poor cell adhesion. The fibers’ modification was evaluated by inverse gas chromatography (IGC). Similar γ s d values were observed between the RBF and silane-treated fibers (39–41 mJ/m2), which indicates similar reactivity towards apolar probes. However, the decrease in the entropic parameter indicates the silane covalent bonding with the cellulose chains making a stiffer structure. 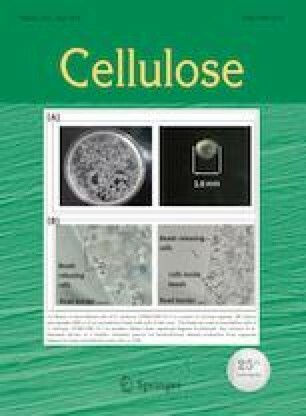 Organosilane grafting was confirmed by an increased basic character in the silane-treated fibers (Kb/Ka from 1.03 to 2.81). The surface morphology also changed towards higher contact area (SBET increases 6.7 times) and porosity (Dp increases up to 67%). Both morphological and functional group reactivity changes suggest that the organosilane treatment offers new opportunities for these fibers to be used as adsorbents for proteins as well as to cell adhesion. 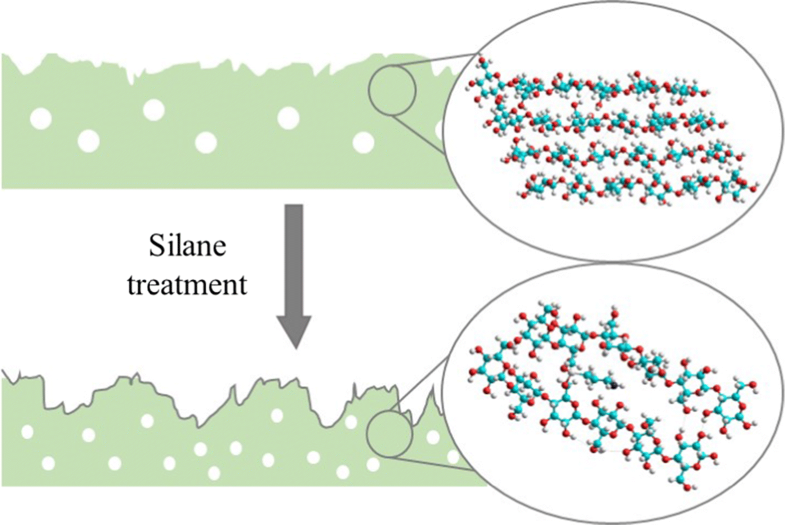 Therefore, IGC proved a simple and viable technique in the characterization of silane-treated fibers. The authors would like to thank the National program for Scientific Equipment Renewal, POCI 2010, for sponsoring IGC work (FEDER and Foundation for Science and Technology). The Indian authors would like to thank the Department of Science and Technology, New Delhi for the financial support of the project.